With this famous quote, we greet all the men and women who day by day illuminate SteemChurch with their brilliant knowledge of the Bible and their life experiences, now ignorance takes a low place, while the knowledge of the will of God rises to the heights! Will that by knowing and living it, they make us free! Truly free! 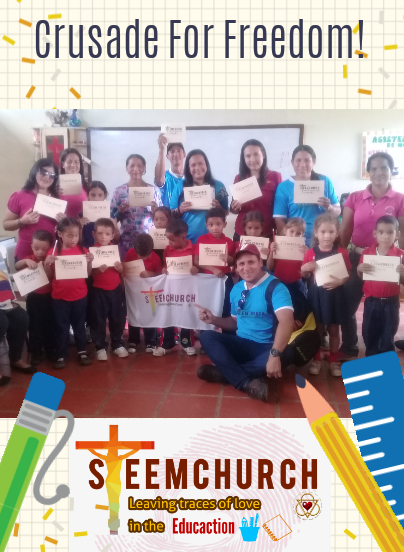 In view of this, a group of Christians and friends of the Church of Steem (#steemchurch), we proposed to make a small gesture of love, with the development of notebooks that are helpful for many children who do not have. The following link shows the publication of the work done, it is not something with a factory seal, but with the seal of love! Today, after a week of strikes in public schools, for wage claims and lack of supplies, we visited the Educational Unit "Petrica Reyes de Quilarque", Sucre-Venezuela, where we were told before, that many children do not attend because of lack of school supplies and uniforms. In the kindergarten classroom, we live unforgettable emotions, seeing the joy of children receive this small gesture (notebook and pencil). Unfortunately 19 children did not attend, they have days without going to school. All this is a sign of how much we can achieve with effort and unity, and although it is a small beginning, we hope to continue growing, to be able to do more! We thank God for helping us to fulfill this beautiful work with happy terms. We thank @sirknight for being the promoter of this crusade for Freedom, to leave traces through SteemChurch. Thanks SK. We thank all the Parishioners of SteemChurch who encourage us every day to continue working! Beautiful day this today the truth that to be able to share with these little ones, teachers and some parents was a great moment. May our wonderful God continue to help us to move forward in this crusade for freedom. And the good he has done, he will repay it. It is regrettable the situation that is happening in our country and the consequences that this is causing in all sectors. But keep going, you are right, it is the way to mitigate a bit the situation that you are experiencing by offering a helping hand and carrying the holy word of God. Big brother contribution, this is to bring @Steemchurch's reach to another level. Magnificent! Cheers! Very well! Stay motivated! 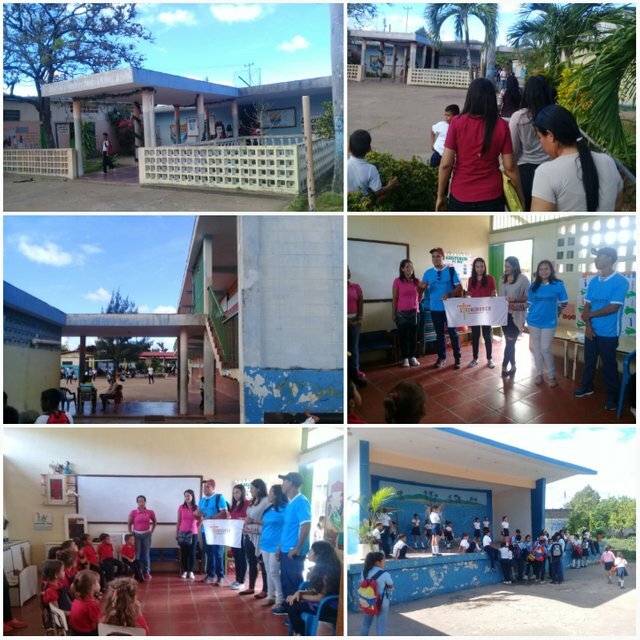 Hello, brothers, the day was really good, impressive as there are children who need help to just start their school years. More than the effort that all those who contributed to this footprint of love. I am happy to have given a smile to the children and I feel a great satisfaction. 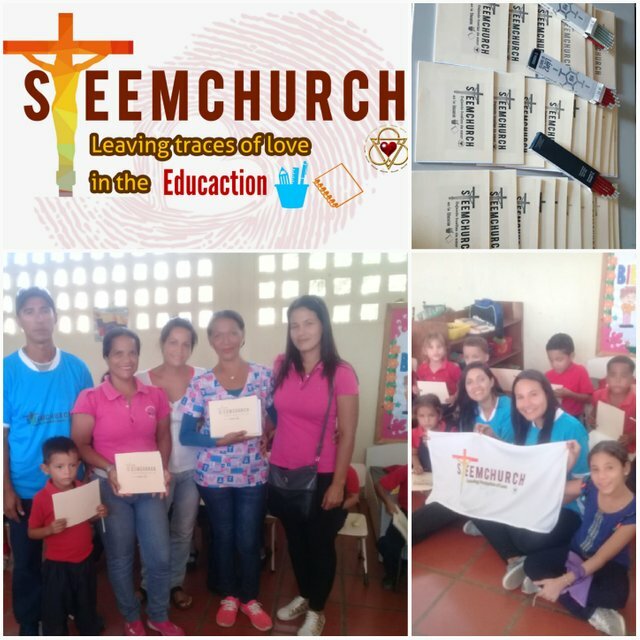 Thanks to the crusade of @steemchurch for allowing us to sow the love of God. Thanks @emiliocabrera, @lorennys. God bless and may God be with us. We must all leave the footprint of love. Your grace i love this update and we must all put into day to day living. Steemchurch will change the world. Congratulations to all the promoters of this initiative and other similar ones. Certainly initiatives like this should be more and more frequent and numerous, especially in countries like Venezuela that so needs it ... Glory to God for that and blessings for you. WARNING - The message you received from @chefarman2c is a CONFIRMED SCAM!